Solid Surfaces | R &D Marble, Inc.
Non-porous, versatile solid surface countertops. 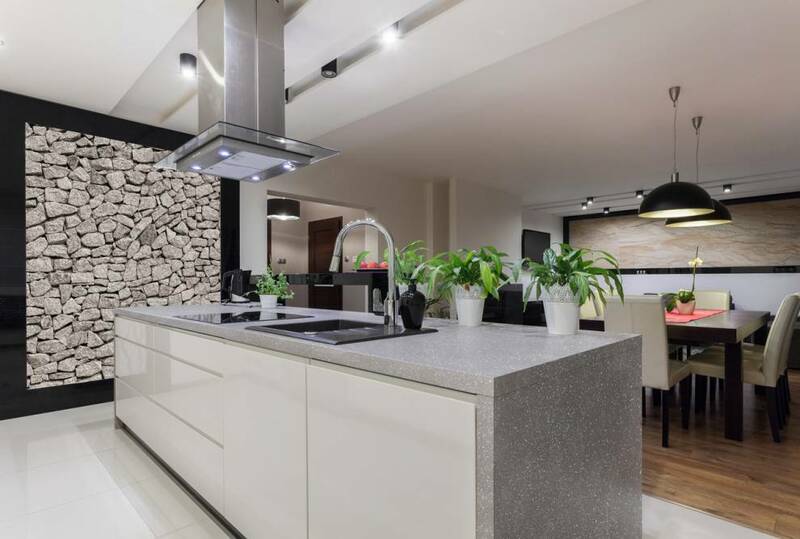 Solid surface countertops were introduced over 50 years ago and while some counter materials may be considered to be a fad, solid surfaces have remained quite “solid”. When Dupont invented solid surface counters, the intent was for them to look like natural stone, but unlike stone, would be non-porous. They also wanted to create a surface that was the same through-and-through. If you look at a crosscut of any solid surface product, you will notice that the top, middle, and bottom are all the same. Completely Non-porous: This prevents bacteria from collecting or growing on the counter which promotes a cleaner and more sanitary countertop. 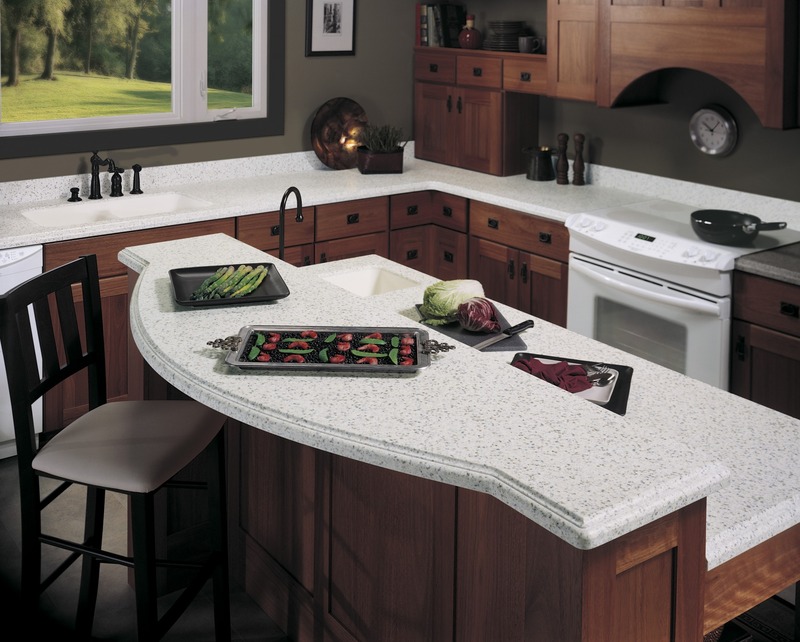 Strong: Solid surface counters are the same all the way through so will resist impact better. 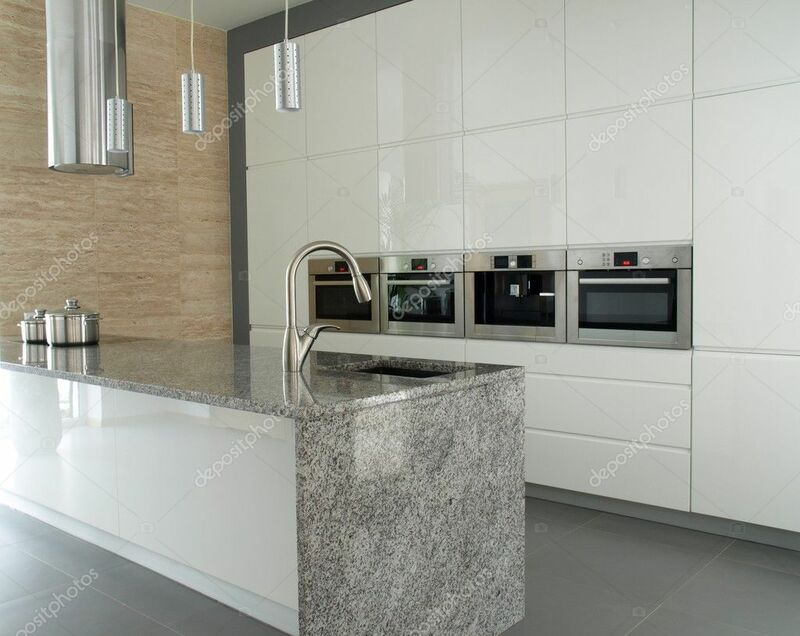 Easy to Repair: Solid surface will scratch if you cut on it, however with the products provided by the manufacturer, it is a simple task to sand down the scratches. Solid Surfaces are both ornamental and purposeful and can be used on either horizontal or vertical surfaces. Choose from an extensive color palette available in an amazing variety of colors, designs, and patterns. Solid Surfaces are designed without visible seams and can be used for utility room surfaces, bathroom vanities, and kitchen countertops. 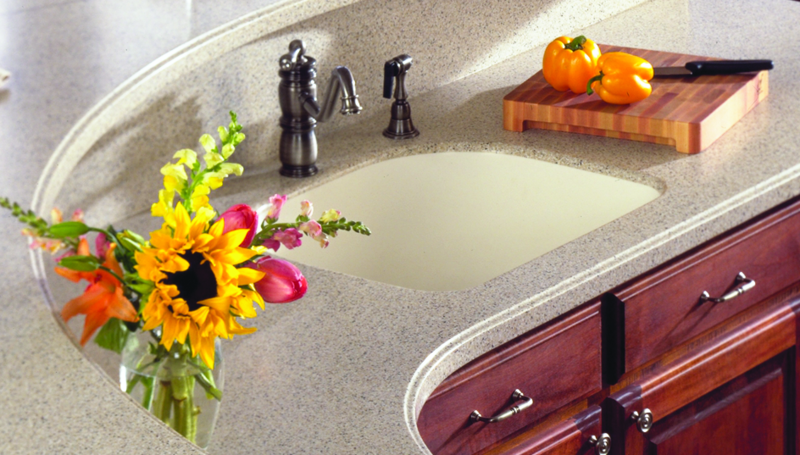 We will make it just like your design, even if your plans include an integrated solid surface sink. 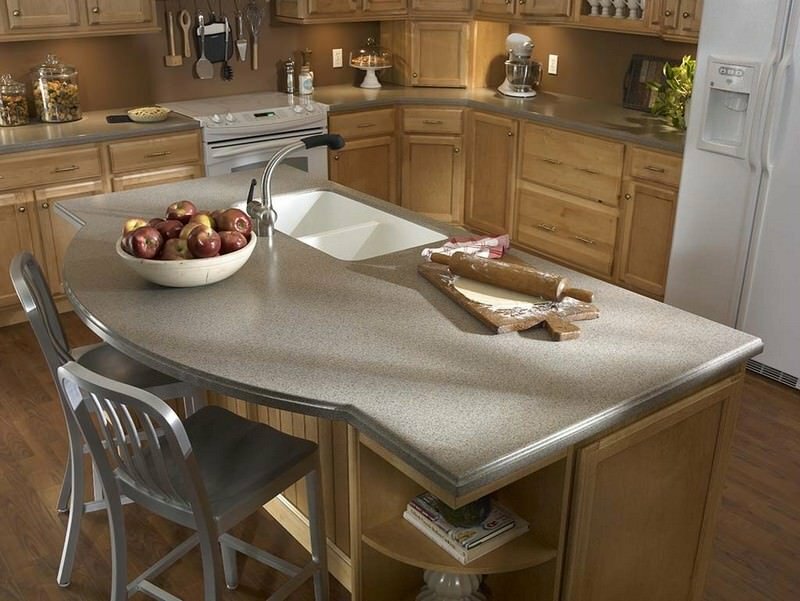 Solid Surfaces are long-lasting, versatile, and opulent with a velvety smooth feel and assorted finishes. Want flexible freedom of expression in your project? Choose Corian and we’ll make whatever you imagine possible! Want a high-performance surface in beautiful colors? At R&D Marble we can get Livingstone at a price leading brands can’t match. Ready to convert your creativeness into reality? Choose HI-MACS for luxury at a price you can afford. Eco-friendly, resilient and easy to maintain – functional beauty meets lasting elegance with Wilsonart.